Lloyds Banking Group has narrowed its losses for 2012, but despite the firm still definitely being in the doldrums, its chief executive has walked away with a bumper pay packet. Cue public outcry, investor opprobrium and general banker-bashing zeal. 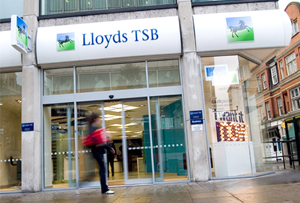 Lloyds, which is 40% owned by the taxpayer – has reduced its losses from £3.5bn in 2011 to ‘just’ £570m last year, but its chief executive, Antonio Horta-Osorio has been handed £1.5m worth of deferred shares, which critics will no doubt see as underserved given the losses that have happened on his watch. But, to be fair, reducing losses by £3bn in a year could be the start of a trend towards massive growth for 2013; in which case, he is doing very good work indeed. Furthermore, it is the massive fines being levied by regulators for PPI mis-selling and interest rate swap mis-selling that have pushed the bank into a loss. Lloyds has been particularly hard-hit by these, and if it had not had to make such hefty provisions for ongoing fines, it would have made £2.6bn. What he’s referring to is the structure of his bonus payment. His shares will not be released until 2018, and he will only get them if the government sells at least a third of its 40% stake in the bank at a price above 61p per share – or if the price remains above 73.6p per share for a defined amount of time. These are pretty narrow terms and its fair to say the chief exec has his work cut out if he stands any chance of pocketing that bonus at all. In a statement, he added: ‘Since setting out our strategy in June 2011, we have significantly strengthened the balance sheet and substantially improved efficiency and focus, while continuing to work though legacy issues.’ The bank is also on the verge of selling off 600 branches to the Co-op Bank (although this deal now appears to be under threat), which should raise a nice chunk of cash and also help to reduce the bank’s ongoing cost base.